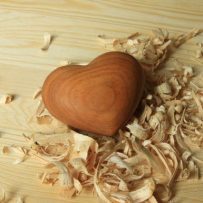 Caring for and preserving your fine wood furniture is not really as difficult as it first may seem. Over the coming months I will be sharing my hints and tips for caring for your wood furniture, such as repair techniques, and I’ll also be giving my suggestions on how to deal with things like cracks in wood, scratches, burn marks, paint marks, and wax. To guarantee many years of beautiful looking wood furniture it’s best to keep any pieces out of direct sunlight and well away from heat sources as these can warp wood, or even worse it could dry the wood out, drain the colour, and leave it looking pretty washed out and ugly. To get us started, here are some of my “Top Wood Care Tips” that should help you to care for, and clean your wood furniture to keep it looking as good as new for as long as possible. Before you decide how to clean your piece of furniture, you need to determine what type of finish it has on it and use the appropriate cleaning or polishing products. When choosing a furniture polish, use the same type for each cleaning, either oil- or wax-based, to avoid those pesky polish smudges. Wipe in the direction of the grain of the wood whenever possible. When it comes time to remove built-up wax, use either mineral spirits or a synthetic turpentine with a soft, lint-free cloth. Clean the entire piece with the product, not just the area that’s soiled. One of the most common problems that I often have to deal with is removing the white marks left on wooden furniture by water or steam, such as the ring left by a wet tea cup or coffee mug, or from an over-filled flower vase. Here’s my tips on how you could remove these stains.